Dolores is 57 years and has been on total disability for several years. After paying the rent, she has just over $400.00 a month to cover her medicine, food, and utilities. She rarely asks for help, and normally she finds a way to cover her expenses. This month, however, she got behind. 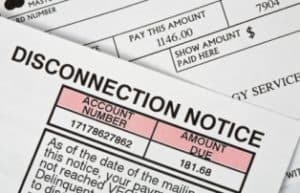 When she realized she couldn’t pay her entire electric bill, she called and arranged a partial payment so that the electricity wouldn’t be turned off. A few days later, she called St. Francis House in a panic. She had received a shut-off notice in the mail, and a technician had arrived at her door to turn off the electricity. Luckily, thanks to donors like you, there was just enough to help Dolores. St. Francis House staff were also able to tell her about our prescription assistance program so that we can help her with prescription costs next month. Can you help us help people like Dolores? Every day we get calls from people we do not have the resources to serve. Your contributions directly affect how many people we help a month. Please consider giving today!